The Palace of Versailles was home to one of the most fascinating figures in history, Queen Marie Antoinette. The many different sides to her personality left not only the society of her time dazzled but future historians too. Famous for her beauty, extravagant fashion and lavish entertainments, was she really the heartless queen that her nation thought of? Her story is now commemorated in several films and books, proving that her personality and life are just as captivating as before. 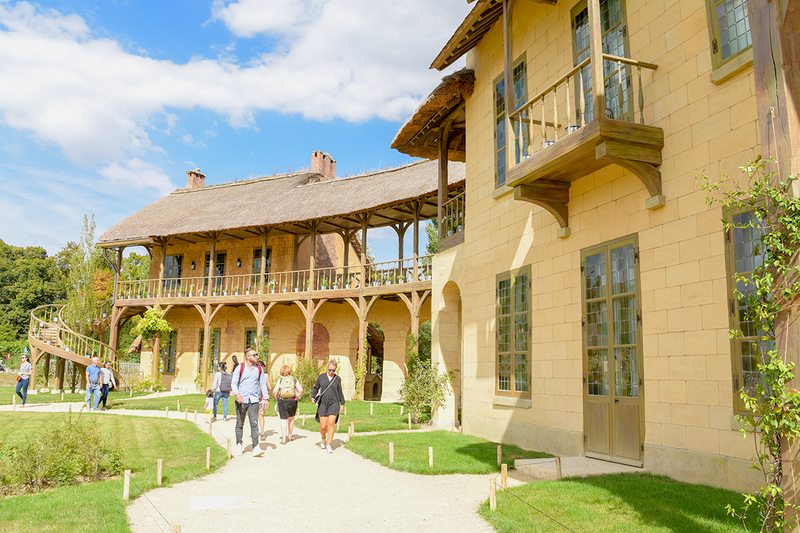 Our Private Marie Antoinette’s Estate Tour will allow you to take the puzzle apart and better understand the life of the most well known Queen of France. Driving a car and telling interesting stories require different specific skills. 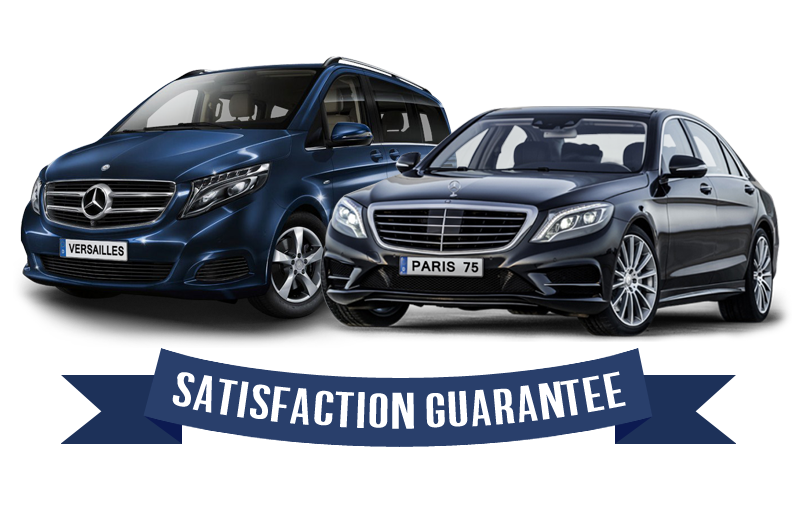 For maximum enjoyment and safety, we offer you a tour with an expert, licensed tour guide and a separate chauffeur. 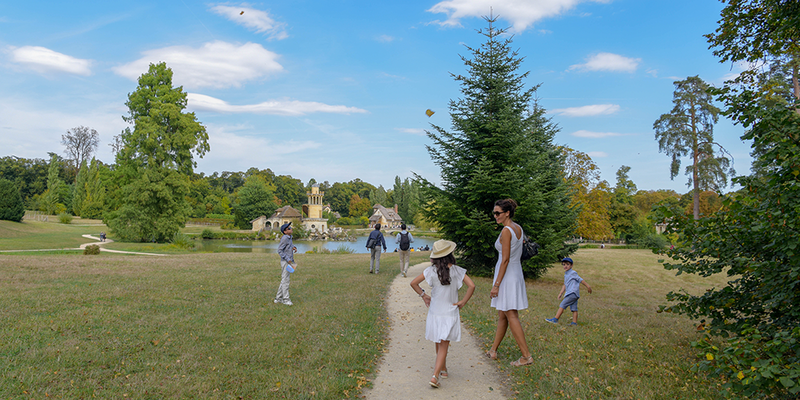 By this way, your Versailles specialist guide will be completely dedicated to you with more time on his/ her hands to share entertaining stories and anecdotes. Meanwhile your safety and comfort will be taken care of by a professional driver. Admission to the Trianon and Estate of Marie Antoinette. 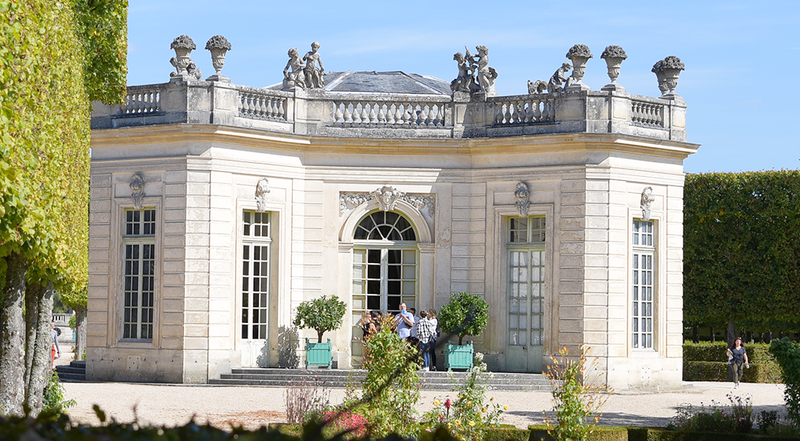 The Petit Trianon (Queen’s Palace). 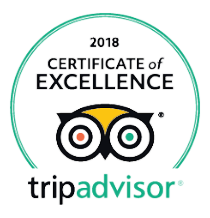 During our private visits, you will have the pleasure in being looked after, from the beginning to the end of the tour. Sit back in our premium vehicle, let the chauffeur drive you to the Palace and enjoy the special treatment and attention from your guide. On arrival at the Palace, our driver will tale a side entry, and you will discover the Queen’s Palace called in French “Petit Trianon”. A gift from her husband, King Louis XVI, genttly offered to allow her privacy. This lovely place quickly became her haven of leisure and self-expression. Explore the refined and elegant style of the décor with your own expert guide. 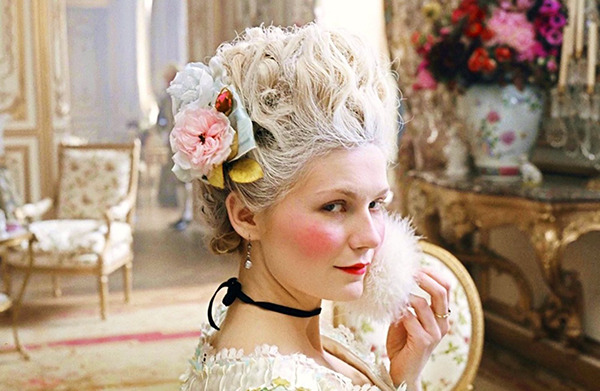 Listen to the stories and get to know Marie Antoinette, the Queen of Fashion. With her personal dressmaker and friend, Rose Bertin, the Queen invented a style of her own, expressing her vivid personality with dresses, accessories and extravagant haircuts. Thanks to her influence, fashion rose to the forefront of society. 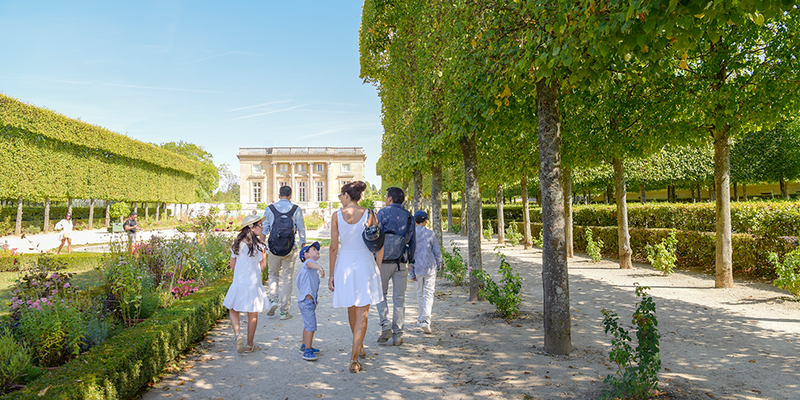 Your guide will show you the garden of the Petit Trianon which includes, if it is open, the visit to the Queen’s Theatre. This small theatre, perfectly preserved from the time, is one of the most beautiful historical theatres that you will ever see. This part of the visit will open up the door on a perhaps less known side of the Queen: Marie Antoinette, the Actress. She was passionate about shows and unlike any other queens of France, Marie Antoinette used to perform on stage. 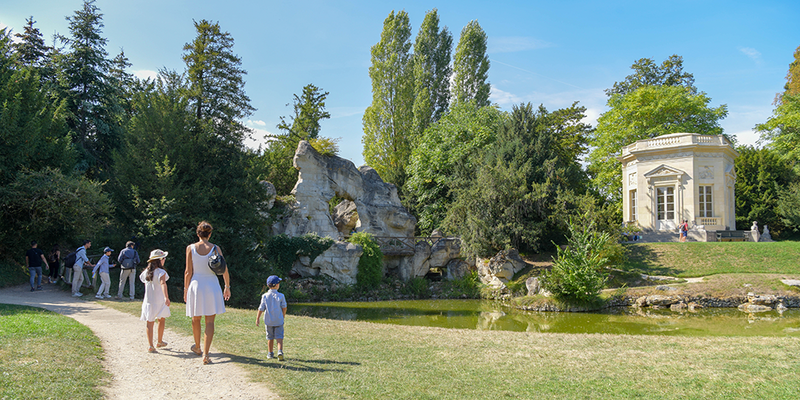 Have a stroll in the English Gardens, and absorb the vaster, wilder and more natural landscape than the well-refined French formal gardens. The Queen requested only two constructions here: the Temple of Love- a jewel of garden decoration and the Belvedere- a luminous building with many windows, used by the Queen as a lounge during the summer months. You will surely be astonished to find a village in the middle of a royal estate! 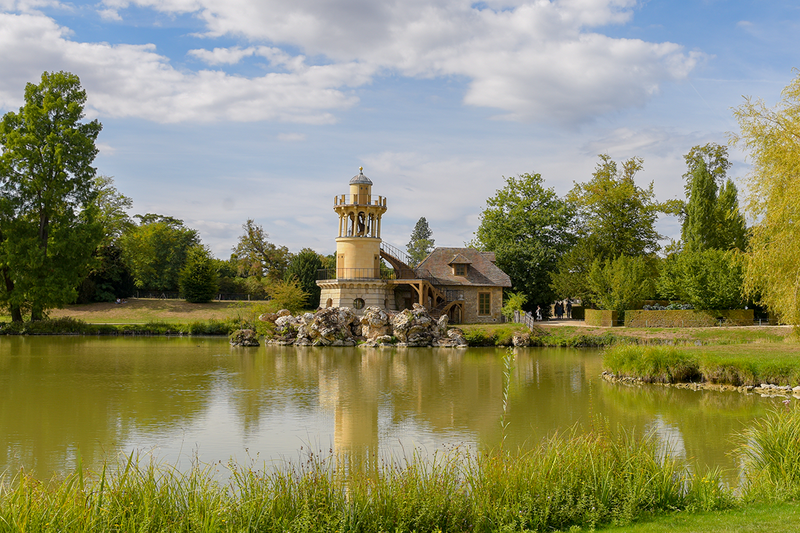 Marie-Antoinette let her imagination soar high when she created her hamlet, a model village inspired by the natural and simple environment where she grew up. Animals are still roaming the fields here, for the joy of many children! The Farm includes different annexes: a Barn, a Dovecote, a Mill and a Preparation Dairy. Other houses were built and were purely reserved for the use of the Queen and her guests. The hamlet includes different annexes: a Barn, a Dovecote, a Mill and a Preparation Dairy. Other houses were built and were purely reserved for the use of the Queen and her guests, including the Queen’s House, the Billiard Room and the Boudoir. An optional request (please contact us before booking if you are interested) is to visit the “Cour des Senteurs” or the Court of Scents. A refurbished quartier in the royal city of Versailles, bringing together the rarest fragrances, history of perfume and savoir-faire. Explore why the royal court was named as the Court of Fragrances after Marie Antoinette’s arrival. Discover why and how perfume was developed and became popular here in the 18th century. The softness of the favourite flowers of Marie Antoinette and the amazing smell of different perfumes will take you into a charming and unforgettable world. The Marie Antoinette is open only on afternoon. So that we advise you to book this tour during the week day afternoon except Tuesday. No this tour does not include the main gardens. So you won’t be able to see the musical gardens. Please check our other tours if you wish to assist to the Musical fountains show. As the Marie Antoinette is very huge, we suggest you wear sneakers and comfortable clothes. Moreover, a bottle of water and some sunscreen will be welcome during the visit of the Gardens on Summer. On Winter, we advise you to wear some warm clothes for a best experience.